YUST PUST Foundation (YPF) is a faith-based international nonprofit organization that supports the communities of the Yanbian University of Science & Technology (YUST), Pyongyang University of Science & Technology (PUST), North Korean Children Program (NK Children), and Yanbian International Academy (YIA) through spiritual, academic, and financial resources in the United States. YPF hopes to provide you with a better understanding of how you can partner with us. Below are some answers to the frequently asked questions about our organization. Who is involved with YPF? The YPF team consists of volunteers and a few paid employees who have a passion for the work being done at YUST, PUST, NK Children, and YIA. A majority of the team members have past experience serving and living in the YUST and PUST communities. Does YPF support programs outside of YUST and PUST? YPF only supports projects affiliated with YUST and PUST. These include YUST, PUST, NK Children, and YIA. How can donors make a gift? How can donors specify the intended purpose of their donation? For check donations, donors can specify on the memo line how they would like their gift be used. For example, “YUST/PUST faculty-[insert faculty name]” may be written to show preference that the donated funds go to support the work of a specific faculty member. For online donations, donors indicate the purpose by donating on a specific project page. Email ypfadmin@yustpust.org or contact an individual faculty member for a link to his/her specific project page. Note: Contributions are solicited with the understanding that YPF has complete discretion and control over the use of all donated funds, in compliance with IRS 501(c)(3) nonprofit organization regulations. YPF will make every effort to honor gifts preferenced to support particular projects, but the final decision on the use of all funds rests with the organization. Are donations through YPF tax-deductible? Yes, all donations made by U.S. citizens are tax-deductible. YPF is a non-profit organization incorporated in the state of Illinois and has been approved by the IRS as a tax-exempt organization. 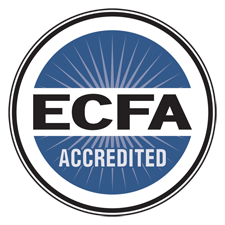 The Evangelical Council for Financial Accountability (ECFA), founded in 1979, provides accreditation to leading Christian nonprofit organizations that faithfully demonstrate compliance with the ECFA Seven Standards of Responsible Stewardship™. These standards pertain to financial accountability, transparency, sound board governance, and ethical fundraising. Being an accredited member of the ECFA means that YPF has proven itself to be an organization that operates with integrity and accountability. For more information, please watch this video or visit ECFA’s website. Does YPF withhold any portion of donations for the Foundation’s operational expenses? Yes, YPF may withhold up to 2% of faculty donations and 10-15% of all other donations. These withholdings help cover our essential operating costs and allow us to continue effectively supporting YUST, PUST, NK Children, and YIA. How can faculty members get detailed information, such as donor names, about the funds they have received? Faculty members are made administrators of their personal project pages on our online donation platform. This administrative access allows them to view the complete donation history of their projects in real time. How can I get in touch with YPF?